Chilean Metal Heroes VASTATOR return from the depths of South American "infierno" with a merciless Metallic Attack ! 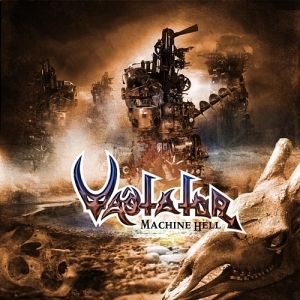 "Machine Hell" includes 11 songs of outstanding dark pounding & incisive METAL ! Feat. guest appearances of Veronica FREEMAN (BENEDICTUM) & Metal MIKE(PAINMUSEUM, HALFORD, TESTAMENT), this new album is a "must-have" for all-true Metalheads worldwide & fans of Judas Priest, Iron Maiden, early-Manowar, Mercyful Fate ! Pure HEAVY-METAL to the BONE ! and includes bonus-video for "The Gods Give No Reply" !